The Monroe High School Track & Field Program was well represented at the OHSAA Regional Track & Field Meet this past weekend at Piqua High School. Coming in, the Hornets had qualified 3 athletes to the Regional Meet and when it was all send and done, Senior Alayna Garver, Junior Rachel Ploeger and Freshman Jenna Hensley all qualified to the Ohio High School Athletic Association State Meet, with two of the three standing atop the podium as a Regional Champion! Freshman Jenna Hensley continued her impressive post-season as she won the Regional Championship in the High Jump event on the first day of the two day Regional competition. Finishing in 1st Place, Hensley captured the Regional title with a jump of 5'4". Jenna had previously jumped a 5'5 1/4" at the District Championship a week ago where she was the District Champion in the event. On the second day of competition, two Hornet distance runners competed in the 3200 Meter Run. Senior Alayna Garver (3rd Place at the District Meet) and Junior Rachel Ploeger (1st Place at the District Meet) both paced the field of 16 runners from the start. Early on Alayna Garver stretched a wide lead but was eventually met by her teammate (Rachel Ploeger) and Katie Taylor of Tippecanoe and Jenna Burns of New Richmond High School. The group of four controlled the pace much of the final few laps but coming around the final turn on the eighth and final lap, Alayna Garver moved from 3rd to 1st to capture the Regional Championship with a time of 11:18.89. Rachel Ploeger finsihed in 4th place with a time of 11:21.21. 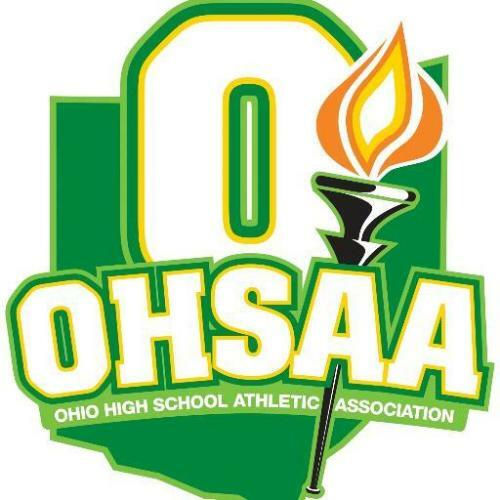 All three athletes qualified to the 43rd Girls OHSAA State Track & Field Meet on June 2 & 3 at the Jesse Owens Memorial Stadium on the campus of the Ohio State University in Columbus, Ohio. This will be the first State Meet appearance for Alayna Garver and Jenna Hensley and the second appearance for Rachel Ploeger who qualified to the 2016 State Meet in the 3200 Meter Run where she finished in 9th place.